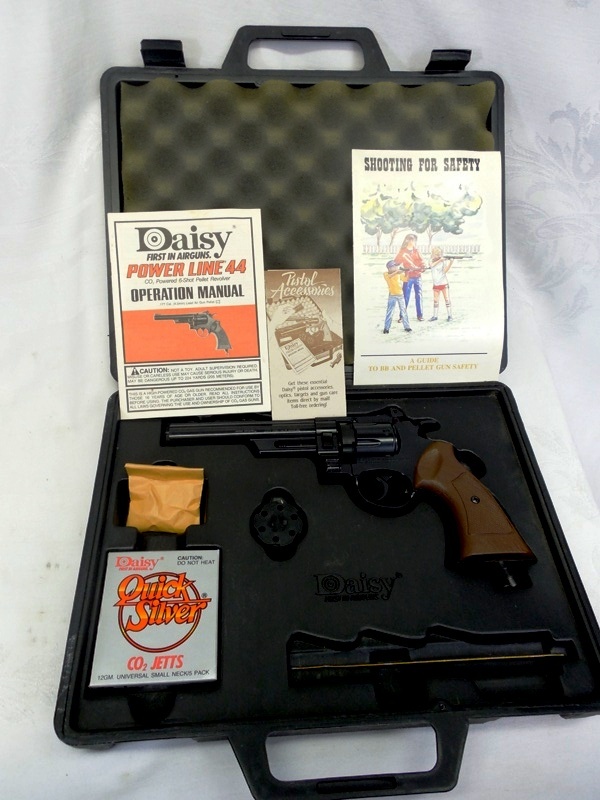 The Daisy Model 44 was made from 1984-2001. 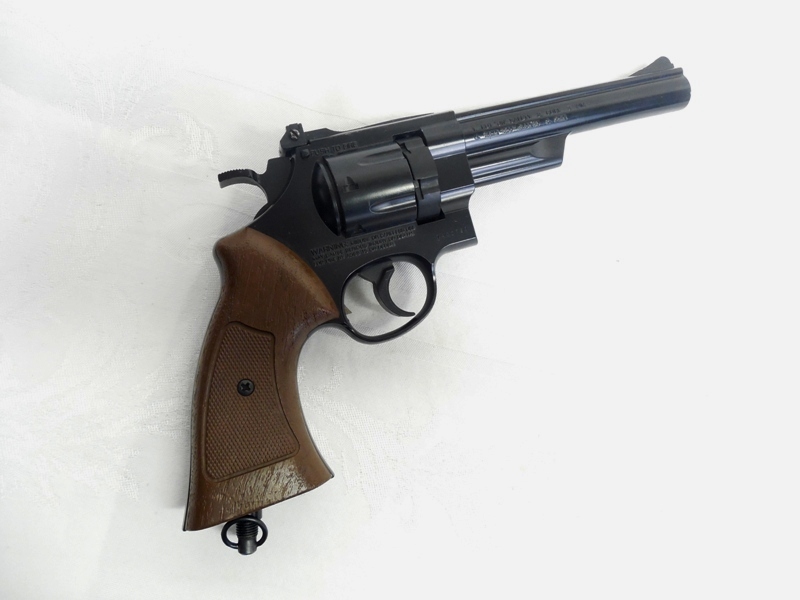 It is a replica of the Smith & Wesson 44 Revolver. 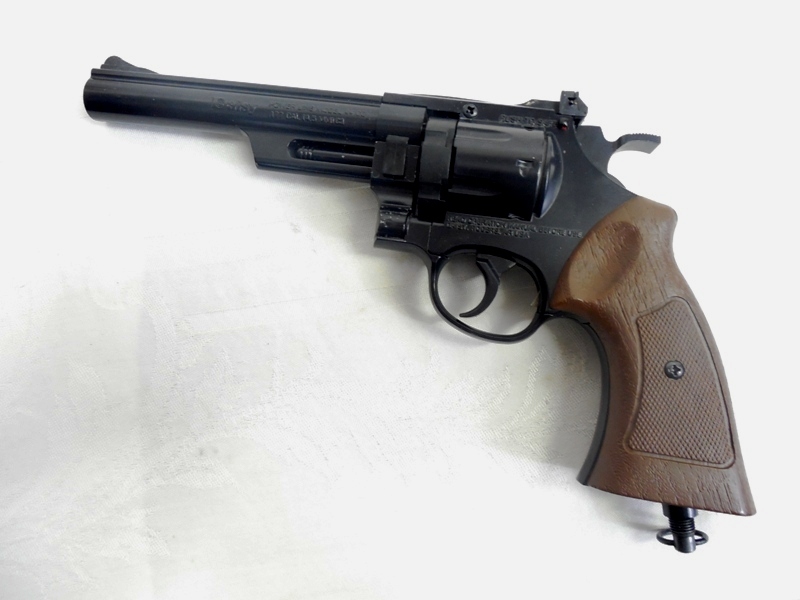 It is a six shot, .177 caliber, C02 revolver. 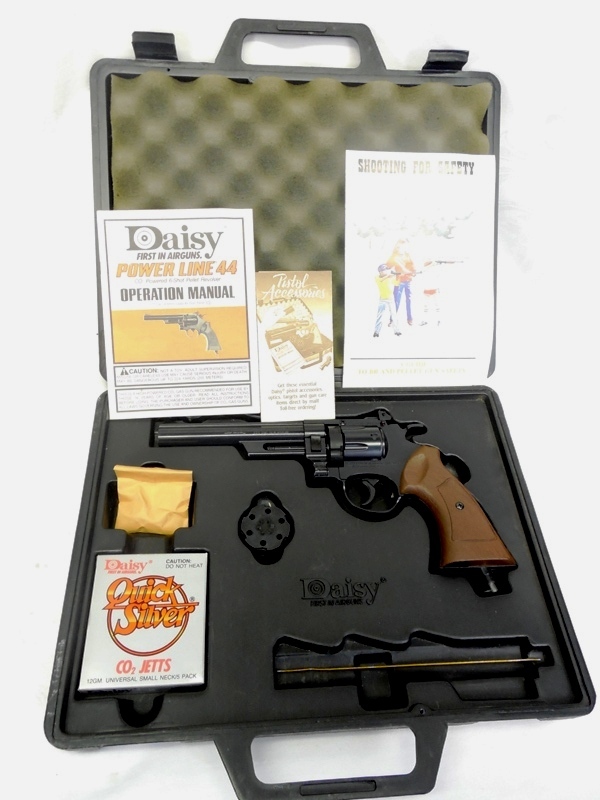 Comes with the original molded plastic case, Quick silver C02 cartridges ( all punctured and used), Operation Manual, Accessories catalog and Shooting for Safety Pamphlet, a cleaning rod. This one is untested and sold as is with no returns. We can no longer repair this model. Sold as a collector’s item only.